Jelly Roll Morton may have born in New Orleans in 1890, or maybe earlier in 1885 according to some sources. He early played piano in brothels and « sporting houses » of the city and learned a lot from great musicians like King Oliver and Tony Jackson. Then he led a life of traveling musician throughout the United States, spending most of his time between the piano and gaming tables. When he settles in Chicago in the early 1920's, he is an arrogant and big-time gambler man who claims he is the inventor of Jazz. Such excesses were not welcomed by the people who crossed his path, even if his piano playing, his prodigious memory and his virtuosity inspired respect from other musicians. During the 1920's, he recorded a great number of tunes, as a soloist and also with his orchestra Jelly Roll Morton & His Red Hot Pepper which was a major jazz band of the decade. Some of these recordings are now part of jazz history. After the Great Depression in 1929, he retired at Washington and slowly left in oblivion. With the arrival of stride and swing pianists in the forefront, he became and old-fashioned musician and made very little recordings during the 1930's. However in 1938, he was invited by Alan Lomax to record an interview for the Washington Library of Congress where Jelly Roll speaks about his life in New Orleans, and also plays pianos solo. This document is a great historical value and Jelly Roll Morton plays piano wonderfully. He died at Los Angeles in 1941. 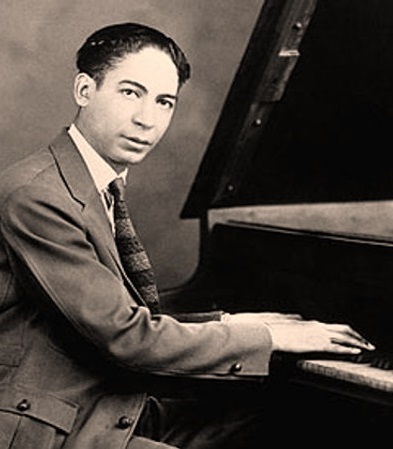 Jelly Roll Morton's very particular way to play piano came directly from ragtime but his inspirations were very disparate : blues, Spanish music, opera... He also was an original piano composer, and an great orchestra conductor. Even if he wasn't the only inventor of Jazz, Jelly Roll Morton remains one of the finest musician of this period and a great figure in Jazz history.